Last month witnessed a joyful new beginning for the long-running Beverley Chamber Music Festival. It was the first in the festival’s quarter-century history to take place under the new management of New Paths Music, Beverley’s dynamic music charity founded by former Minster chorister, Roland Deller. New Paths Music has been making waves nationally since its inception in 2016, but taking on the Beverley Chamber Music Festival was a significant stride forward for the young organisation. 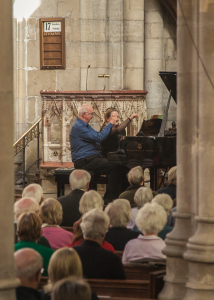 With ticket sales up 15% on last year, large audiences came to the East Riding from across the UK and beyond to welcome a glittering array of international artists to beautiful St Mary’s Church. The vibrant festival featured an abundance of Czech music – marking both the centenary of the founding of Czechoslovakia, and also St Wenceslas’ Day which fell during the festival. Violinist Liza Ferschtman got the festival off to a stunning start with Janáček’s dramatic violin sonata. A highlight of the Doric String Quartet’s residency at the festival was its exuberant performance of Dvořák’s piano quintet with Martin Roscoe. And mezzo-soprano Marta Fontanals-Simmons sang songs by Dvořák and Prague-born Mahler exquisitely in the Saturday morning concert, Coffee with the Bohemians. Beverley is a town which has for hundreds of years celebrated new beginnings. 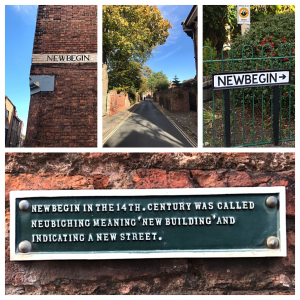 Indeed one of its most iconic streets is called Newbegin. And so the excitement around the festival’s new chapter among the audience, volunteers and musicians alike was a joy to behold. The gallery of photos above captures some of the buzz of the festival. We hope that you enjoy looking at them. One of the most poignant moments of the festival was the Friday lunchtime piano duet concert given Libby Burgess and Martin Roscoe, celebrating their new partnership as Co-Artistic Directors of the festival. The beauty and intensity of their performance of the Schubert Fantasy in F minor in particular made for a deeply moving experience. Two bits of good luck which also added to the pleasure of the festival were the re-opening of the Beverley Arms, the town’s flagship hotel, in time for the festival; and the glorious weather, which festivalgoers enjoyed throughout. In the month which has elapsed since the festival, autumn has passed to winter and the first snow has fallen on the East Riding. But back in late September, the sun shone on St Mary’s throughout the festival and musicians and audience were able to stroll around Beverley in beautiful sunshine. Many young people benefited from the festival: from the hundreds of local primary school children who came to Carnival of the Animals played by Libby and Martin, to the babies and toddlers who came with their families to the extremely popular Bohemian Babies; and from the three talented young musicians who received expert coaching in the public masterclass, to those under-18s who came for free to concerts under our Golden Ticket Scheme. In total, approximately one third of the events in the festival were free, including the fascinating talk about Britten given by Colin Matthews OBE to a packed St Mary’s Church Hall. Since that talk Colin has written about Britten’s own viola, which we heard being played in Beverley. It can be read here and is a nice reminder of that talk and of the Frank Bridge Fantasy Piano Quartet which Libby Burgess and her Wieck Ensemble performed so passionately in the closing concert of the festival. In a speech after the festival, New Paths founder Roland Deller, thanked the former trustees and committee of the Beverley Chamber Music Festival for entrusting the much-loved festival to New Paths, and handing it over seamlessly and graciously. He also thanked the festival’s loyal audience for embracing New Paths so warmly. And he thanked the many wonderful volunteers who made such a brilliant and energetic contribution to the event, including the students from the University of Hull on the team. The next New Paths festival in April 2019 is going to be a ‘whopper’ including for the first time an opera. And so we welcome new volunteers to join the diverse and talented team. Please email admin@newpathsmusic.com if you’d like to volunteer. 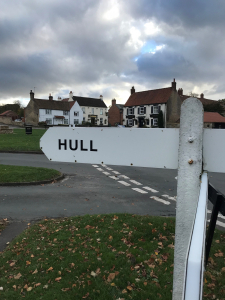 New Paths on the road this week … to Hull! This week is half-term in the East Riding and there’s a special chance to hear Libby and a hand-picked team of outstanding musicians giving a family-friendly concert at 1pm on Thursday 1st November, in the Middleton Hall at the University of Hull. Libby is joined by Connie Tanner (bassoon), Thomas Verity (clarinet), Fenella Humphreys (violin) and Alex Caldon (trumpet) for this ‘Musical Journey around the World’. The colourful and eclectic programme includes music by de Falla, Debussy, Gershwin, Bartok, Mussorgsky and Copland, plus some Scottish fiddle music and Klezmer! Tickets are still available here and whilst the programme has been designed to appeal to children it is sure to delight audience members no matter how old they are. New Paths is thrilled to have been commissioned by the University of Hull to give this family-friendly concert, and a masterclass for university students afterwards. Join us in Hull on Thursday for this whirlwind musical journey. We will be announcing the programme of the 2019 New Paths spring festival in December. We greatly look forward to sharing that news with you soon. Until then, wrap up warm and save the dates: 4th – 7th April 2019.